Obituary of Edna L. Burridge | Perry-Komdat Funeral Chapel - Perry-Komdat Funeral Chapel, Inc.
East Greenbush- Edna L. Burridge, 86, of Evergreen Commons a longtime resident of Sand Lake, died on Saturday, December 2, 2017 after a long illness. Born and raised in Sand Lake, Edna was the daughter of the late Bert E. and Anna Budesheim Teal and wife of the late Charles C. Burridge and sister of the late Beatrice E. Primeau. Edna and Charlie resided on Ebert Drive in Sand Lake for many years. Edna had worked for over 30 years and retired from Verizon in Menands where she had been a proof reader. 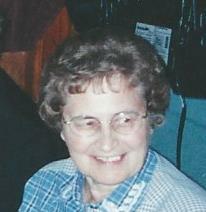 Edna was a former member of the Black River Raiders Snowmobile Club, was a lifelong member of the Zion’s UCC in Taborton and enjoyed camping for many years and dining out. Survivors include her sons Brian R. Burridge and his companion Liz Beals of New London, CT., and Bruce A. (Sharon) Burridge of Brunswick, her grandchildren Adam Burridge, Candace Burridge, Christiana Raby and Brandie Hamilton and 4 great grandchildren and several nieces and nephews. Funeral 10 a.m. Wednesday, December 6 at the Perry-Komdat Funeral Chapel 2691 NY 43 at Glass Lake Averill Park with burial to follow at the Sand Lake Union Cemetery. Relatives and friends are invited and may also call 4-7 p.m. on Tuesday, December 5 at the chapel. If desired donations in memory of Edna L. Burridge may be made to the Zion’s United Church of Christ 747 Taborton Road, Sand Lake, NY 12153 or the Sand Lake Ambulance PO Box 222 West Sand Lake, NY 12196.